Home / People / Did India Shoot Down a Pakistani Jet? U.S. Count Says No. 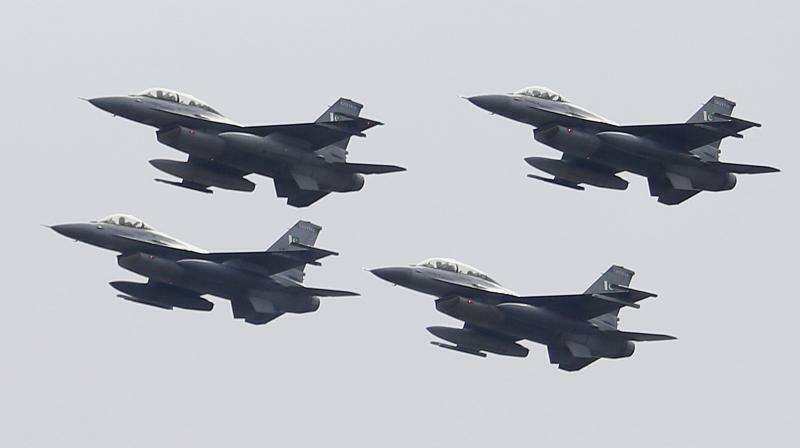 Pakistan invited USA officials to physically count the F-16 planes after the February 27 air battle, the prestigious Foreign Policy magazine reported in an exclusive report on Friday. The Indian forces have confirmed sighting ejection at two different places on that day. The 2 sightings were at places separated by at least 8-10 km. However, one downing of a MiG-21 Bison was verified as its wreckage was found on the Pakistan side and its pilot IAF Wing Commander Abhinandan Vartharam was captured after he ejected over Azad Kashmir. It is reported further that electronic signatures gathered indicate that the PAF jet was a F-16. Following the air battle, which led to the capture of Vardhaman by Pakistani forces, the external affairs ministry had said that "one Pakistan Air Force fighter aircraft was shot down by a MiG 21 Bison of the Indian Air Force. From that we could make out that the aircraft was F-16", one IAF source said. The news report has come at a time when India has taken up the use of F-16 by Pakistan in the 27 February dogfight. This is in contradiction to India's claim that it had shot down one Pakistani F-16 using the R-73 missile fired by Wg Cdr Varthaman. A large force of PAF F-16s, JF-17s and Mirage III/V aircraft were picked up by IAF radars. After the February 27 dogfight, India had complained to the United States that Pakistan misused the F-16 and also showed as evidence a piece of an AMRAAM (advanced medium-range air-to-air missile) that can be only fired from a US-made F-16 which are with PAF. Foreign Policy magazine quoted two senior USA defense officials with direct knowledge of the situation as saying American personnel recently counted Islamabad's F-16s and found none missing. This was as per an end-user agreement signed when the foreign military sale was finalised. "Chief military spokesperson took to Twitter and said that "[it is] time for India to speak [the] truth about false claims & actual losses on their side including the second aircraft shot down by Pakistan" while adding that "India needs introspection especially over atrocities in IOK". Both the PAF and the IAF have presented divergent narratives of the aerial combat on February 27, a day after the IAF struck terrorist camps deep inside Pakistan to retaliate against the Valentine's Day terrorist bombing of a security forces convoy in Kashmir in which over 40 paramilitary soldiers were killed. Goyal was quoted as saying: "Here the Prime Minister Modi sends the air force to cross the line of control, get into Pakistan, attack armed men at its roots in Balakot, and on the other hand, the opposition is trying to strengthen the arguments of the neighbouring country".